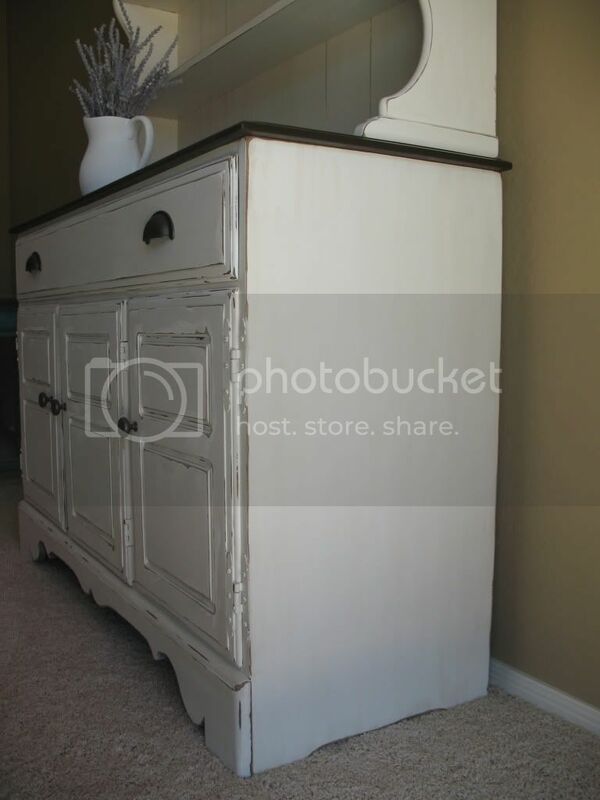 Primitive farmhouse hutch. Heavily distressed antiqued finish. 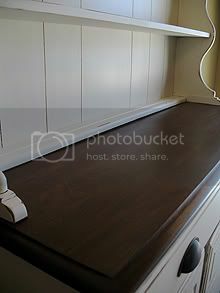 Beadboard backing, scalloped edges, dark brown buffet top. 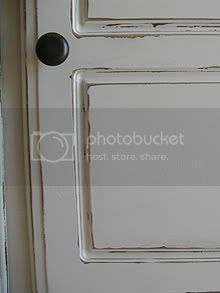 Oil rubbed bronze hardware. Solid wood and heavy. Click to see larger pictures. This piece is bee-u-tee-ful! I’m so glad I came across your blog! Thanks for being my 100th follower, wahoo!! 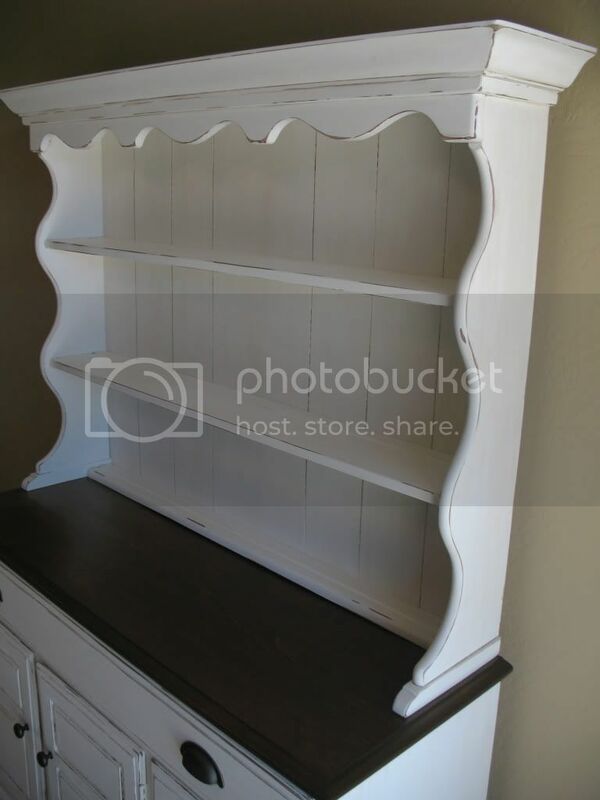 Thanks for stopping by and following my blog, I so appreciate it…love the hutch and I’ve looked at your other posts and the furniture you do is beautiful! 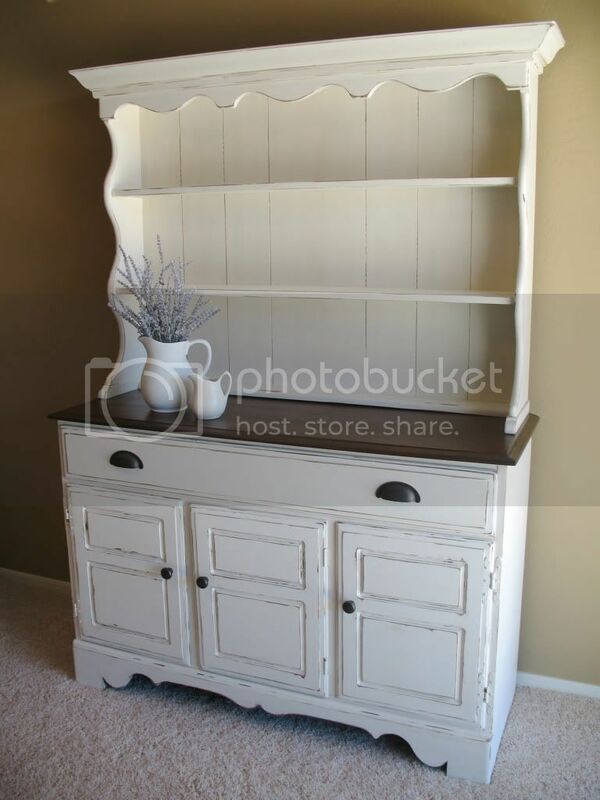 I love this hutch. great job! gorgeous! i love the hardware and the dark top! 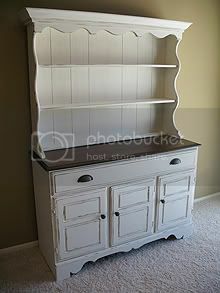 This piece is GORGEOUS and so classic. No surprise it is already sold! No wonder it got sold fast! So beautiful. thanks for joining us at the CBPH. What a beautiiful piece! 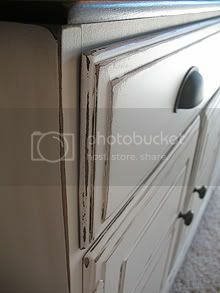 I love the stained surface with the white paint! Love this one, too! I’m not surprised it sold already! Love it do much with the stained top. I just did one this week to. Check it out. 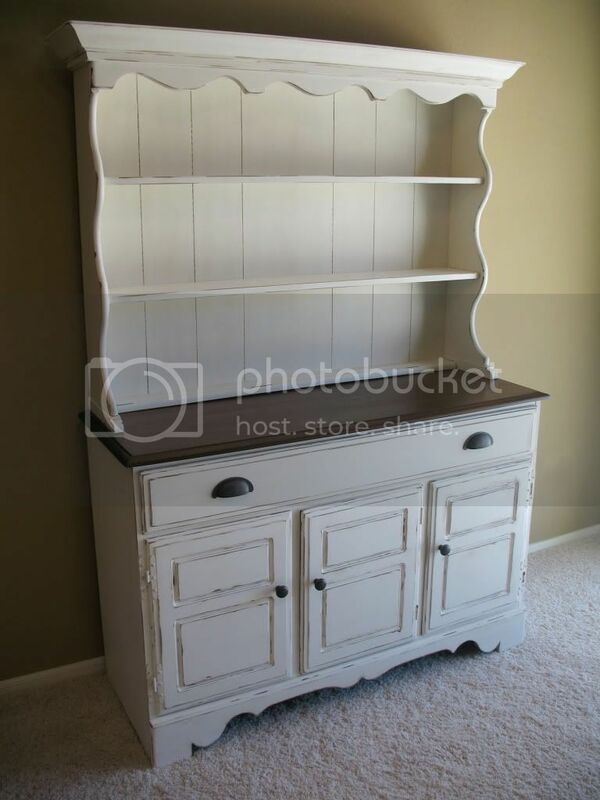 This is a beautiful hutch. What a wonderful job you did on it. 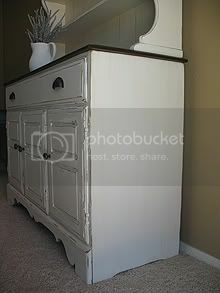 Just bought an old early American hutch…a bit ratty, but exactly what I want to redo for a coffee bar station at our house in East Texas. 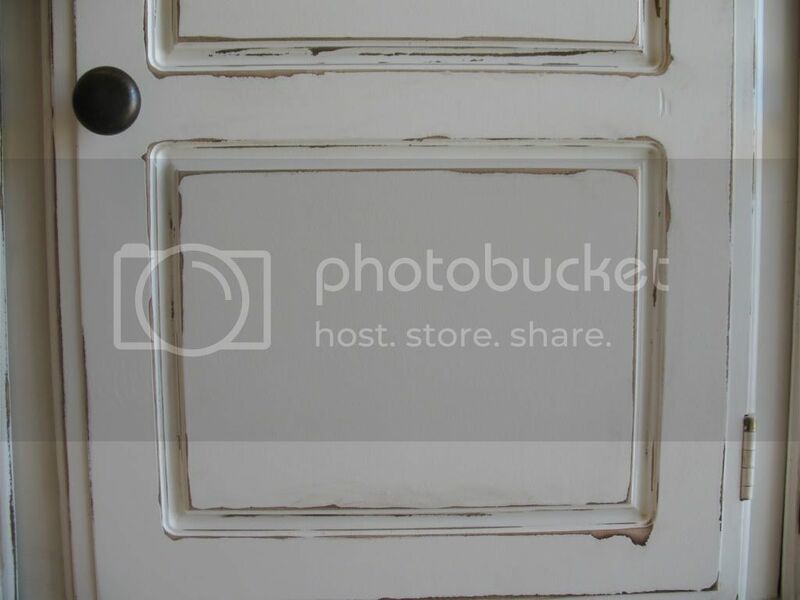 Yours gave me some really great ideas for redoing mine..love the hardware and the distressed look. Think I may go with turquoise.